Martin is a Partner and national head of the Restructuring and Insolvency team and he specialises in contentious insolvency; investigating the causes of insolvency, obtaining freezing orders where necessary to secure assets and pursuing claims against directors and third parties, including off shore trust entities, to recover assets for the benefit of creditors. 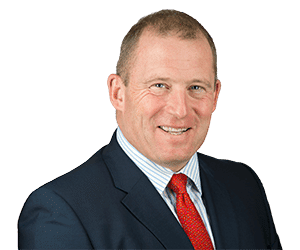 Martin’s expertise includes working with insolvency office holders and stakeholders including Grant Thornton, RSM Restructuring Advisory LLP, CVR Global LLP, the Insolvency Service and HMRC. Notable current cases include a claim on behalf of a liquidator challenging the legality of tax avoidance advice and seeking to make recoveries from an off shore trust and also directly from the UK domiciled ultimate beneficiaries. Martin joined Clarke Willmott in 2001 after working at Beachcroft Wansbroughs, where he was also a Partner. Martin is ranked in the Legal 500 and Chambers & Partners directories and is a member of R3 and the Insolvency Lawyers Association. Obtaining a freezing order for a liquidator to prevent the further disposal of a substantial recruitment business, obtaining the appointment of the liquidator as receiver and manager of the business and successfully recovering it to enable the liquidator to sell it in a competitive market for the benefit of creditors. Acting on behalf of a Trustee in Bankruptcy to unravel a scheme using Gibraltan off shore corporate entities to alienate substantial funds from HMRC. Acting on behalf of a liquidator pursuing a director for fraudulent trading for his company’s participation in a carousel fraud and pursuing insolvency act claims against his EBT to recover assets sheltered off shore. Regular use of section 423 Insolvency Act 1986 claims to unravel undervalue transactions that have used sophisticated schemes to disguise their true nature, including acting for the successful Trustee in Bankruptcy in the Court of Appeal decision in Hill v Spread Trustee Company & Others.